Each time you go out kayaking or canoeing, it’s imperative that you carry along your personal floatation device (PFD). This is a device that gives you buoyancy to help you float in water. It’s an essential gear that you should always have that could help you when an accident happens while in the deep waters. 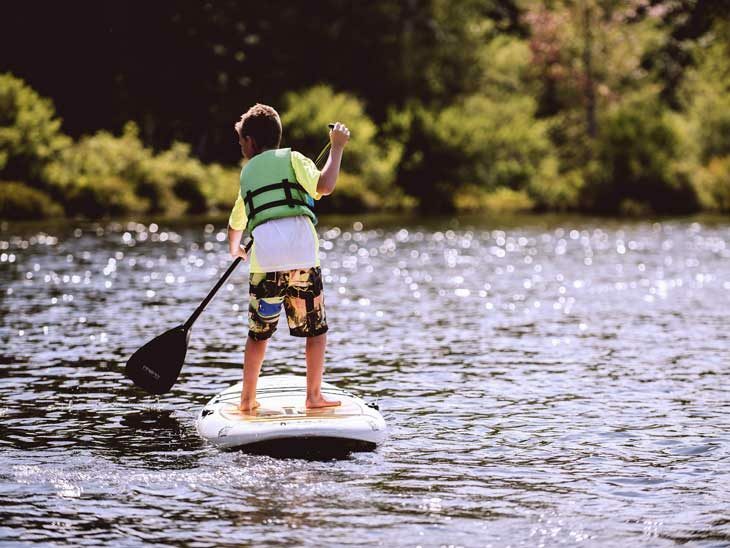 While choosing a personal flotation device, there are factors you should look at. Here are some of the most important considerations that will help you to make the right choice. Life vests come in different builds and are made from different materials. These variations are dependent on the kind of sports they are used in. There are those cut low for breathability and to also allow motion. If the sport you are taking part in requires a lot of motion and the need for breathability, choose a life vest that is designed to give you that functionality. You can even choose vests that have pockets for your electronics and other supplies that you can use. Some PFDs are made to take a high-back design that incorporates mesh on the lower end of the jacket with foam on the upper side. This is ideal for riding in a recreational kayak. Adjustments allow you to wear the PFD comfortably. You can find a life vest that uses straps to hold in place. With such straps, you get the freedom to wear minimal clothing when it’s hot, and you can also have layers of clothing if the weather is cold. It’s easy to wear a PFD that is fastened with straps. While using one, keep comfort in mind and tighten the straps from bottom to top. Just make sure to find one that gives you an option for perfect reinforcement because you don’t want the straps to lose grip while you are in the water. You also need to look for comfort while choosing a personal floatation device. Many people complain about certain PFDs because when worn they feel too restrictive and clunky. There are many PFDs that are designed for active watersports. These are made to eliminate chafing and facilitate easy movement, and they can last a few seasons. While choosing, check that the vest fits all around comfortably. It should hold the entire torso section and must not be tight as this affects movement. Your ability to draw deep breaths could also be impeded by a tight PFD. Check your chest size to ensure it fits perfectly. Also, consider options like the color that could count in safety. Choose a brightly colored PFD that can help rescuers to spot you easily. There are jackets with reflectors that you can find that will be useful if you are stuck in the water when you need help. Don’t forget to look for tabs on the jackets that you can use to attach knives, whistles, and other important accessories you may require. Choosing the right PFD is a process that involves taking a look at a number of factors. You need to think about safety, comfort, and also ease of use. If you are buying for your kids, consider their weight and not the chest size. You need to pick a jacket that is comfortable to wear and one that fits on your body perfectly. See guidelines above for ideas on what to look for to make the right choice. A personal flotation device (PFD) is a must on any vessel, either it is a canoe, kayak, dinghy or a yacht. I would love to hear from you in the comments below, on Twitter, Facebook or Google+ if you should have any questions or comments.